A properly-installed fence not only makes your property safer and more secure, it can add beauty and value as well. If you’re looking for expert fence installation in Central Massachusetts and greater Worcester County, the fencing professionals at Girouard Fence can help. 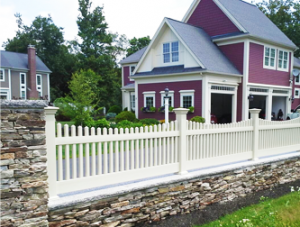 Since 1990, we’ve been designing, installing, and maintaining a wide range of residential and commercial fences throughout Central Mass. All of our fence installs feature the highest quality materials, including weather-resistant vinyl fencing, durable chain link, as well as beautiful wood and ornamental metal fencing. We’ve been in business as a family-owned Central Mass. fence company since 1990, earning a reputation as one of the area’s leading residential and commercial fencing companies. 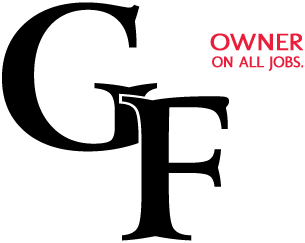 We take great pride in our work – in fact, company owner Pat Girouard personally supervises every project – no subcontractors or strangers will show up on your property. Pat’s experience, expertise and personal involvement ensures your wood, metal or vinyl fence will be properly installed for years of durable, dependable service.